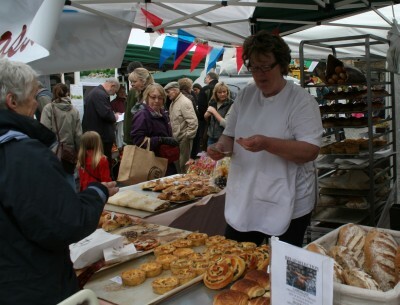 It is the first time that Patisserie Pascal have taken part in the Local Excellence Market and they were doing a roaring trade this morning. Their produce is much better value than what you will get at the French Market in a week or so. 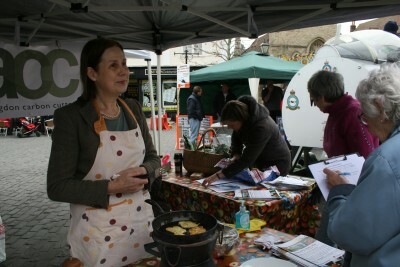 The Abingdon Carbon Cutters were cooking up fritters and doing a survey. which I did – and this is the reaction I got. Always good to see Mick Busby – a one time parachutist with the forces. 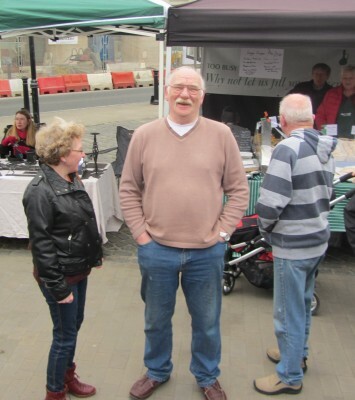 Until recently Mick was Chairman at Preston Road Community Centre where he did an excellent job running and improving the centre for over ten years. Mick is now concentrating on his other passion – falconry. 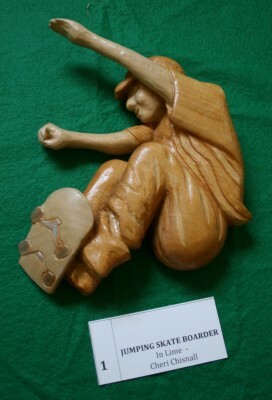 In the Old Magistrates Court below the Guildhall there is a chance to try out an instrument. There are stringed instruments from the Oxfordshire County Music Service in the Magistrates robing room. There are also brass instruments and other wind instruments in the Courtroom. 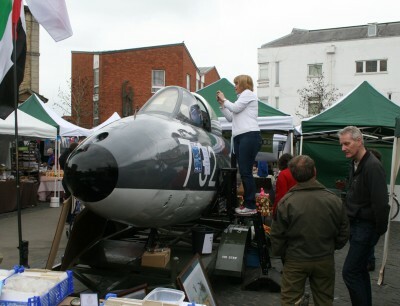 All part of the Abingdon Arts Festival. 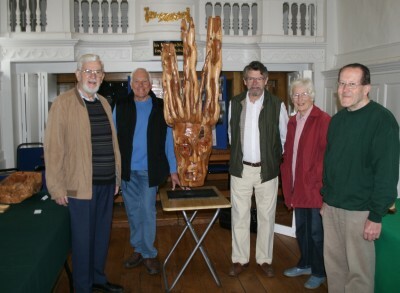 Brian Eastoe with the Ox & Bucks Woodcarvers (who meet at Abingdon College) have an exhibiton today in the Roysse Room, as part of the Abingdon Arts Festival. They are asking people to choose their favourite work with a poll. 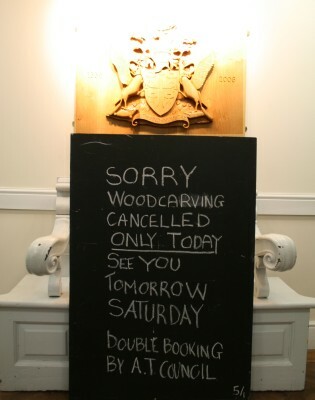 The exhibition was meant to run for two days and so they apologise that there was a mix up yesterday. Marie on Bath Street are running an Easter Egg Competition. They have lots of jars filled with Mini Eggs, and are asking people to guess how many eggs are in them. The correct/closest answer wins a £20 Marie Gift Voucher! Children and families are welcome to take part! Thanks to Verity for the picture. There will also be an Easter Party in the Albert Park on Saturday 31st March, 2 pm to 4 pm. This has become an annual family event. 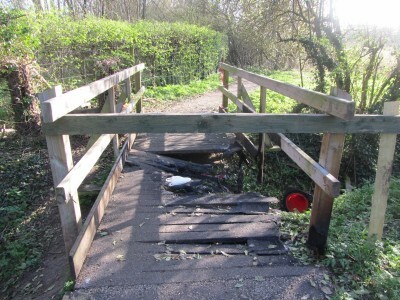 I was told that a vehicle was set alight on this footbridge, in Southern Town Park, back in January 2012. The bridge is on the route to the Drayton Road Allotments and used by people getting to the allotments or out on walks. The tape and bollards, put up at the footbridge after the incident, are gone. People have found other ways round for the moment. 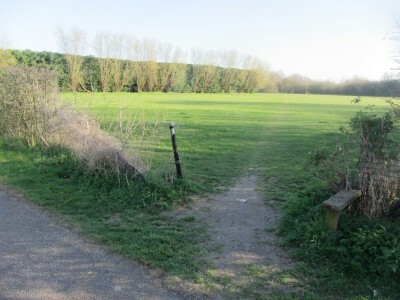 I can see a track has been trod across sports fields which used to be fenced off and free from dogs. I hear the Vale of White Horse District Council have it scheduled to repair in April 2012. The sports club and people going that way will be very glad when the footbridge finally gets mended, so the sooner the better.